Below the surface lie extraordinary populations of animals without backbones—invertebrates. 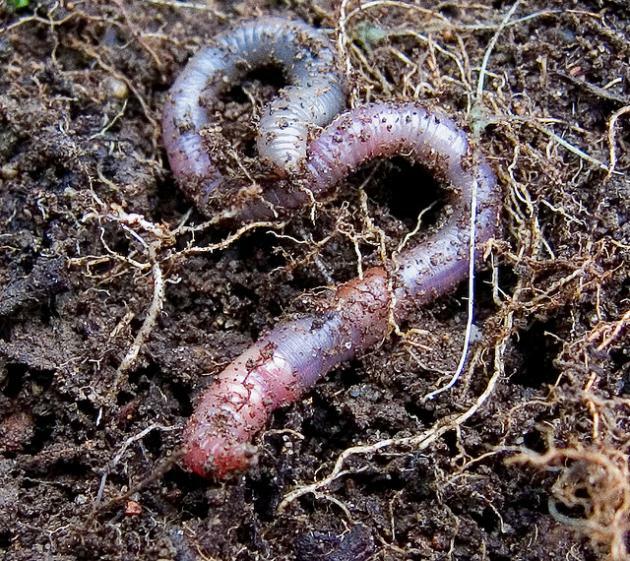 These creatures are nature’s composters that can be put to work in your soils. Some of these are very small and need a microscope to be seen, while others are large enough to view with the naked eye. The biodiversity of soil animal communities may exceed biodiversity of that above the surface in many habitats. Break down plant and animal tissue to make them more easily digested by micro-organisms. Invertebrates improve soil structure allowing increased water use efficiency and increases soil aeration. Invertebrates mix the layers of the soil, bringing organic matter down from the leaf litter on the surface. Invertebrates increase soil carbon levels. Soil biodiversity can be maintained or restored by organic farming practices, and practices such as reduced or zero tillage. The loss of beneficial function of soil invertebrates can lead to loss of the essential soil ecology, which then results in land degradation, decline in crop productivity and greater food insecurity. Soil invertebrates are key components of agricultural landscapes. Soil invertebrates are essential for soil processes such as maintenance of healthy productive soils. Come in and see some soil invertebrates under the microscope at site 102 at Dowerin Field Days.